You need Email. As a person. As a lawyer. Email has become as important as the telephone, maybe more so because so many of us can cut right to the point without the time-burning “fluff” and “niceties” that are attached to most phone calls. Emails sent to colleagues and the people we work with every day, will patiently sit there in their inbox until their time is freed up and they have mentally shifted gears and purposefully switch tasks to focus on unread emails. A phone call, statistically, will be interrupting someone’s day or routine. 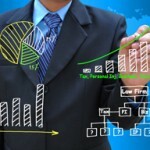 If you count the emails you send in one day and considered the extra time that it would have taken if you had called each and every person or company instead of firing off a purposeful email, you would agree, that those of us who’s financial success or demise rely on focusing on client matters and eventually invoicing clients for a finite number of hours, we must strive to work as efficiently as we can. You may never have thought this through, but we trust you will agree that Email is a BIG help! A real time-saver and money-maker. You check email at home on your desktop computer, laptop or tablet computer. Or, if a caffeine addicted counselor, perhaps you are like the many attorneys who will be found enjoying ten luxurious minutes at your local Starbucks checking your iPad, iPhone, Android or BlackBerry. When you arrive at your office and get to your comfy desk and check email again you are on yet another computer hardware device. If you have time to think, have you ever wondered what options are available for synchronizing your e-mail such that read, unread, replied, and deleted e-mails exist on all of your devices in real-time status at the exact same time? These days, most lawyers use an office computer, a laptop, a home computer, an iPad or other tablet and an iPhone, Android, or other smart phone. That’s 5 devices! 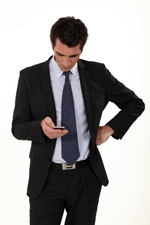 Checking e-mail on any or all of the typical attorney’s 5 devices is a common, daily occurrence. However, depending on what type of e-mail service you currently have, chances are good that these various computer devices will simply not stay in-sync. An e-mail you read and replied to on your iPad before leaving the house in the morning, may show up as unread on your desktop PC or not show up at all. An email system that could keep your e-mails in-sync between devices would definitely save time and confusion. Not syncing devices can cause real problems. That motion your paralegal finished late last night and emailed you as an attachment looked fine on your iPad before you left the house this morning, but now as you arrive at the staples next to the courthouse to have it printed out, is missing from your smart phone as you search your iPhone’s email! Whether your e-mail synchronizes often depends on what type of e-mail system you have. 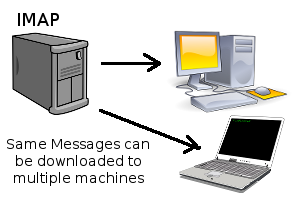 There are two widely used e-mail formats: POP3 (Post Office Protocol) and IMAP (Internet Message Access Protocol). The main difference between the two email protocols is how they treat messages on the remote server of your ISP (Internet Service Provider) or the website hosting service where your website –and by default– email server lives. POP3 tends to be the most commonly used. Typically, using a POP3 protocol, the your emails are downloaded from the ISP or email server who hosts your website into your email “client.” An email client has been, for the past 5-8 years, a software program on your desktop or laptop such as Outlook Express (no longer supported) or Outlook 2007, Outlook 2010, Outlook 2013, Thunderbird or some other email client. Hotmail, Ymail, and Gmail, free email services are called “Web-based email clients.” One is a software program on your computer while the other web-based services reside completely on the Internet or “cloud” if you prefer the new lingo. POP3 will store your email messages on the server so that each time you connect with a different device it will download any NEW (unread) emails to that device only. POP3 is the default “Joe-homeowner” protocol that most self-installing software clients default to and you may be clueless about. POP3 setups are easy to configure, but sacrifices the two-way communication that IMAP email protocols use. This two-way communication checks for read vs. unread email status but still does not always provide for a reliable syncing of your devices. POP3 was designed and distributed before tablets and smart phones, when most everyone accessed their emails from just one device and one software email client. 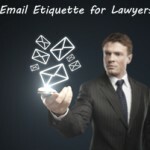 Lawyers and business owners will experience difficulties when they attempt to access their email account from different computer devices having separate email client software where their daily emails do not stay in sync. 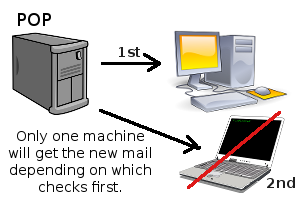 IMAP Email protocol allows two-way communication between the Email server and any number of software clients on any number of computer devices. IMAP protocol “flags” emails as “unread,” “read,” or “deleted” as well as other various Email status (spam, etc.) on the server itself, so that when you access your Email from whatever device, your email that was read at home this morning will appear to be read when you look at it on your iPad at Starbucks an hour later. IMAP helps sync the status of all of your Emails across any devices that are set-up to use IMAP protocol. If one or more of your devices is set to POP3 protocol, you may not even know it, but you might find yourself scratching your head about what you are seeing on those devices. You will be seeing the same Emails, reporting the same status (unread, read, replied, deleted) on your desktop, laptop, tablet and smart phone simultaneously if your Email clients are all set up to take advantage of IMAP. If you were to use any of those devices to read, reply, or delete an Email, IMAP will show the exact same mirror condition of the same information on all of your devices in real time. Most lawyers, who have grown to be dependent on a variety of devices in different locations would appreciate this technology. So What is Hosted Email? Hosted Email is the next generation of Email that was first introduced over a decade ago with such services as Hotmail. Yahoo took Hotmail’s experiences and created a perfected hosted Email solution marketed as Yahoo mail. Google, as usual, squashed their predecessors by unveiling their Hosted Email called Gmail. Unfortunately, lawyers and business owners cannot cheapen their professional status nor dilute the branding efforts by using a FREE Email service to conduct business. Moreover, these FREE Emails are scanned by their email service provider so they can target ads to you that “magically” produce ADS for you that regurgitate something you might have mentioned in what you assumed was private correspondence! Hosted Email goes a lot further to integrate your entire law practice into one private, bank-secure, collaboration information platform. Why switch to a Hosted Email System? Web Based – Access Your Email from Anywhere! The top reason why all lawyers should switch to a Hosted Email platform is because you can break the leg irons that keep you tethered to your one primary Desktop PC. Hosted Email is a Cloud Base Email platform. It doesn’t matter if you are in your office or taking your kids or grand kids to Disney World – you can access your mail, calendar, attachments, contact lists, current client files anywhere AND from most ANY computer (yours, a friends, or a public machine). We love Outlook 2005 , 2007, 2010, and 2013, but you can be weened off –or not… your choice! When you use Hosted Email the way it was intended to be used (and it IS addictive…), then there is no further need for the now-discontinued Outlook Express or Outlook 20?? that you are likely using. NICOTINE PATCH: If you are completely hooked on using the Desktop-dependent Outlook Software Client, relax! Hosted Email acts just like any other email server and will allow you to continue to use your Outlook Client. Warning: You might feel your dependency shifting from Outlook to the amazingly powerful Web Dashboard for your Hosted Email, Calendar, Contact Lists, and Briefcase (Cloud Storage Files for your current clients and cases) —all accessible from ANY of your 5 typical devices! The Upside to Hosted Email? Hosted Email can be very useful and addictive for lawyers who are often away from their primary computer. Your ability to reply to an Email from any device, from anywhere, at anytime, is incredibly liberating and can save time and make you money in needless trips to a central location. The fact that Hosted Email automatically syncs all of your devices means that when you get back to your office after a long day out of the office where you answered a number of emails from your iPad, the Email account you see on your desktop is completely mirroring that which you last accessed on your iPad. The net result is no more searching different devices for emails or attached critical files or forwarding Email responses to yourself. You can start with 3-Users (minimum) for $36/month, and then add any number of additional users at anytime for $12/month per user. No long term contracts. No need. It’s addicting! 🙂 Get the email services you need and the encrypted email your bar association may soon expect you to have in place to protect your client’s privacy by contacting the talented geeks from at lawSITES.PRO. 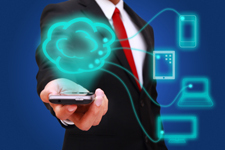 Call us at (888) 900-9078 to get your Hosted Email Account Set-Up today!